ALEXANDER PEACOCK was one of the original members of the Camden Fire Department, entering service on December 7, 1869 as an extra man with Engine Company 1. Prior to entering the fire department he had worked as a carpenter. He was living at 1127 Broadway when he joined the department in the fall of 1869. Alexander Peacock was born in New Jersey in August of 1844 to Clayton and Doretha Peacock. He was named after his grandfather. Clayton Peacock worked as a house carpenter, and Alexander worked in that profession throughout his life. The 1850 Census shows the family living in Camden's South Ward. Alexander, then 6, was the oldest child at home, also there were Elizabeth, 5; Martha, 3; and Thomas, 10 months. Two more daughters came by 1860, Amanda and Ellen. Bladensburg until March, 1864, when it was ordered to the forts near Chain bridge. So large a number of recruits were added to the originally large regiment, that in April, the 2nd Provisional Heavy Artillery was organized from the surplus, the two regiments numbering 3,300 men. The 2nd was attached to the 9th corps and participated in the Wilderness campaign, fighting at Spottsylvania and Cold Harbor. The 1st regiment joined the Army of the Potomac at Cold Harbor on June 4, when it was divided into three battalions and attached to the 18th corps. The 2nd battalion shared in the charge at Petersburg on June 18, by which the ground was gained that became the front line of the army. The provisional regiment joined the 1st on Aug. 26, 1864, having been on duty at Petersburg and active at the explosion of the mine, where it lost heavily. Its ranks were by this time reduced to 400 men. In a charge on September 20, the 1st and 2nd battalions lost 200 men, after which they were stationed with the remainder of the regiment near Fort Harrison until December. In January of 1865, a large number of the men re-enlisted and the regiment joined in last charges upon the enemy's works, afterward entering the city with the army. 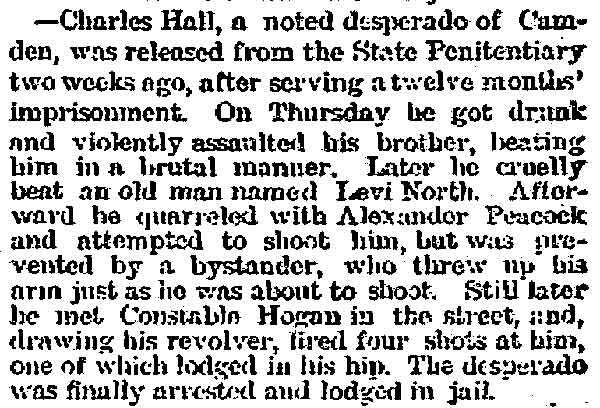 In the aftermath of this action, Alexander Peacock was promoted to Full Corporal on May 1, 1865. For the remainder of the year the regiment was occupied in detachments in preserving peace and order in the southern part of Virginia. Returning to City Point, Virginia, it was there mustered out on Jan. 29, 1866. Corporal Peacock was among those who mustered out of Company E, 2nd Heavy Artillery Regiment Pennsylvania on January 29, 1866 at City Point, Virginia. On September 2, 1869 City Council enacted a municipal ordinance creating a paid fire department. It provided for the annual appointment of five Fire Commissioners, one Chief Marshal (Chief of Department) and two Assistant Marshals. The City was also divided into two fire districts. 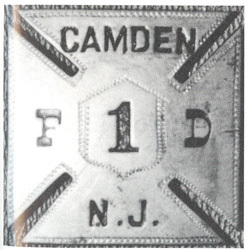 The boundary line ran east and west, starting at Bridge Avenue and following the tracks of the Camden and Amboy Railroad to the city limits. District 1 was south of this line and District 2 was north. The commissioners also appointed the firemen who were scheduled to work six 24 hour tours per week. William Abels, from the Weccacoe Hose Company No. 2 was appointed Chief Marshal with William J. Mines, from the Independence Fire Company No. 3 as Assistant Marshal for the 1st District, and William H. Shearman as the Assistant Marshal for the 2nd District. Abels had served with the volunteer fire departments of Philadelphia, Mobile, Alabama and Camden for sixteen years prior to his appointment as Chief of the paid force. 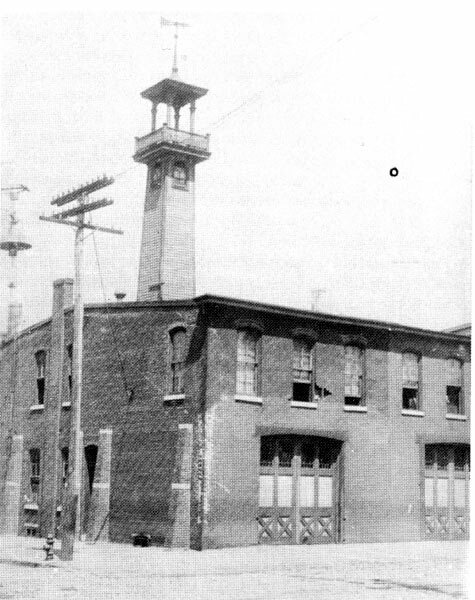 On November 10, 1869 City Council purchased the Independence Firehouse, the three-story brick building at 409 Pine Street, for $4500. The building was designated to serve as quarters for Engine Company 1 and the 1st District. On October 29, 1869 City Council authorized construction of a two-story brick building on the northwest corner of Fifth and Arch Streets as quarters for the 2nd District. On November 25th the Fire Commissioners signed a contract with M.N. Dubois in the amount of $3100 to erect this structure. The 2nd District would share these quarters with Engine Company 2 and the Hook & Ladder Company and the facility would also serve as department headquarters for the new paid force. 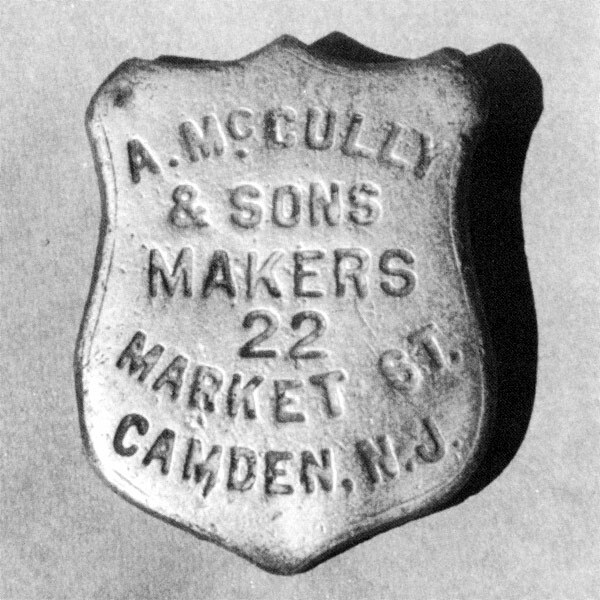 The original contract remains part of the Camden County Historical Society collection. 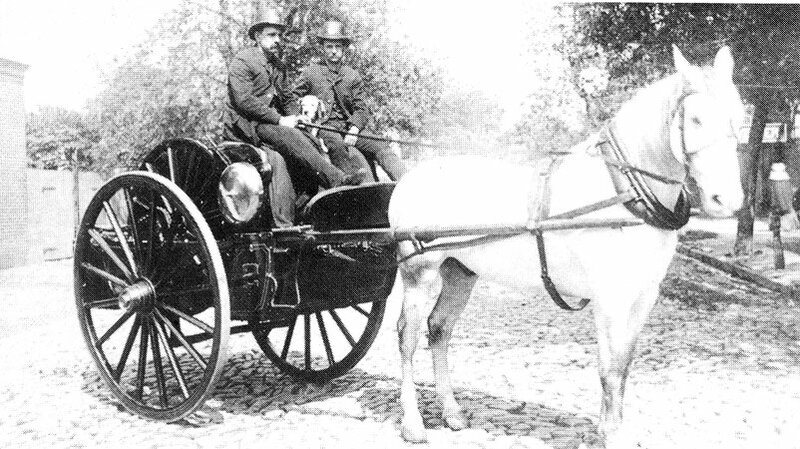 Alexander Peacock was removed from service with the Camden Fire Department on October 23, 1892. He was still living at 1127 Broadway at the time. The 1870 Census states that he was living with his widowed mother and siblings Martha, Thomas, Emma, and Amanda. The Census seems to indicate that he was married to a woman named Rebecca, however, she is not with him in 1880. The 1878 City Directory shows Alexander Peacock at 406 Cherry Street. His widowed mother, brother Thomas, and sister Amanda lived at 710 Mount Vernon Street. By 1880 Alexander Peacock had moved to 526 Division Street, where he lived with his mother, sister Amanda and her husband William Trout. He had moved to 442 Mickle Street by 1881 and was living at 642 Division Street when the 1884-1885 City Directory was compiled. The 1887 City Directory, 1890 Veterans Census, and 1892-1893 City Directory all state that Alexander Peacock lived at 575 Division Street in Camden. The 1893-1894 Camden City Directory states that Alexander Peacock had "removed to Sea Isle City". He apparently never moved back to Camden. 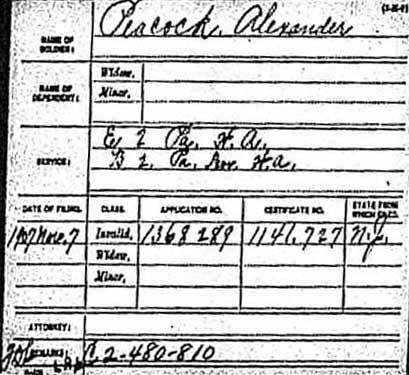 The 1900 Census shows that Alexander Peacock was working as a carpenter and living in Monroe Township in Gloucester County, New Jersey. Alexander Peacock was approved for his Civil War invalid's pension on November 7, 1907. At age 75, he was living with his widowed sister Mrs. Amanda Trout and her son William at 325 Vermont Avenue, Atlantic City in January of 1920. He does not appear in the 1930 Census and most likely had passed away..